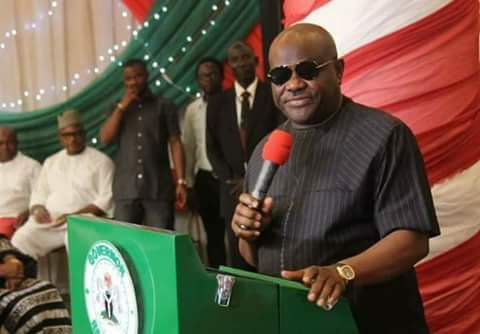 Rivers State Governor, Nyesom Ezenwo Wike has declared that all Nigerians must take up the solemn responsibility of sacking the non-performing APC Federal Government in 2019. This is as Former Vice President Atiku Abubakar declared his intention to offer himself to contest for the position of the President of the Federal Republic of Nigeria. The PDP leaders spoke at the Government House Port Harcourt on Tuesday during a visit by the Former Vice President who was in the state to consult with Rivers State PDP Leaders. Governor Wike urged all PDP members irrespective of their status to ensure that the march to the Presidential Villa is not truncated by disunity. He urged all PDP Presidential Aspirants to contest within acceptable limits as the race is not a do-or-die affair, but a movement to oust a failed APC Federal Government. 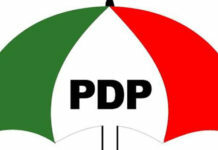 “Every Presidential Aspirant must see himself as a member of the larger PDP family. We must do everything to ensure that PDP returns to the Presidential Villa in 2019. “Only one aspirant will become a candidate. We will do everything to ensure that the party comes out with a candidate that has a track record to upstage the APC”. The governor said that he has received Former Jigawa State Governor, Dr Sule Lamido and now Former Vice President Atiku Abubakar, noting that other aspirants will be offered the platform to consult with Rivers PDP members. “God will make sure that the right candidate emerges. When the right candidate emerges, we will team up and remove this bad government. “There is no benefit that Rivers State has gotten from this APC Federal Government. All the APC Federal Government is doing is plotting to rig the 2019 elections “, Governor Wike said. He said that the Former Vice President has the right qualification to fly the PDP flag, noting that he should extend his consultations. Earlier, Former Vice President Atiku Abubakar said that he is offering himself to set the country on the path of growth after the serial failure of the APC. He said that since 2015, the APC Federal Government has destroyed the education, health and infrastructural sectors through poor budgetary allocations and releases. The Former Vice President said that the APC Federal Government has destroyed the foundation of unity and cohesion of the country. He said: “I have never seen Nigeria so divided along religious, ethnic and regional lines. This division is as a result of the mismanagement of the APC”. The Presidential Hopeful called for the unity of the country , saying that no component part of the country to progress alone. He called on Rivers PDP Stakeholders to support his ambition to emerge as the party’s Presidential Candidate. Also speaking, Former Enugu State Governor, Dr Okwesilieze Nwodo said that Atiku Abubakar is a detribalised Nigerian, with the capacity the rescue the country. Former Ogun State Governor, Otunba Gbenga Daniel is a true Nigerian , with business and political links across the country. He said Nigeria needs Atiku Abubakar to revive the country. Former Vice President Atiku Abubakar eas accompanied to Rivers State by Former Ogun State Governor, Otunba Gbenga Daniel, Former Enugu State Governor, Dr Okwesilieze Nwodo, Former Attorney General of the Federation, Michael Aondoakaa and Senator Abdul Ningi . The Former Vice President met with State and Federal Lawmakers, Caretaker Committee Chairmen of Local Government Areas and Party Leaders.